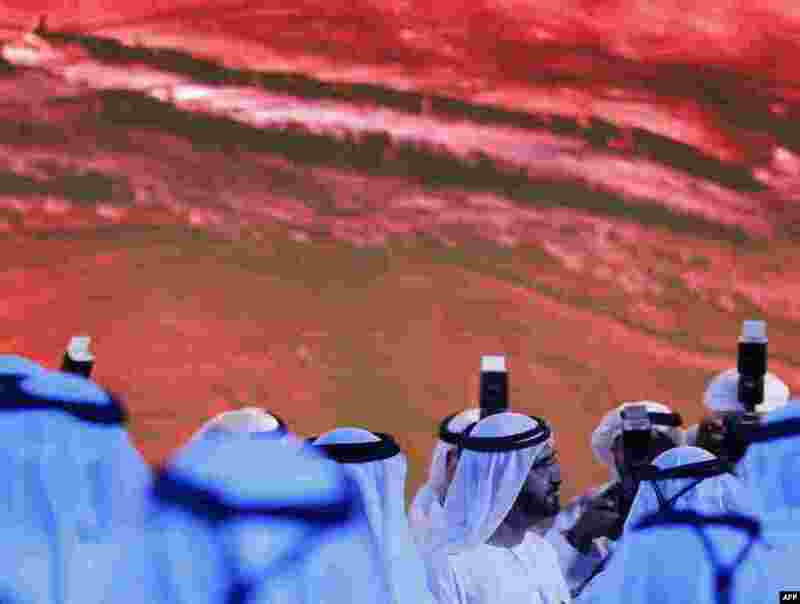 1 Sheikh Mohammed bin Rashid al-Maktoum, Prime Minister of the United Arab Emirates (UAE) and ruler of Dubai (C) takes part in a ceremony to unveil UAE's Mars Mission in Dubai. 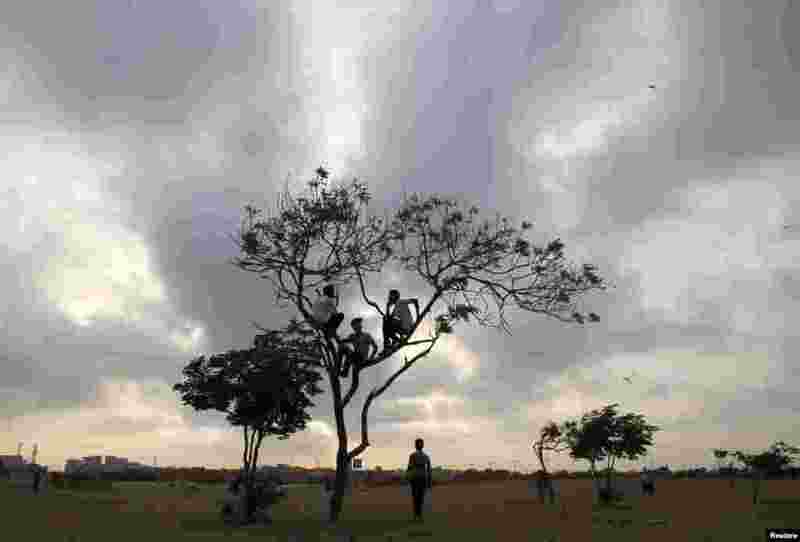 2 Boys sit in a tree under a partly cloudy sky in an open field in Karachi, Pakistan. 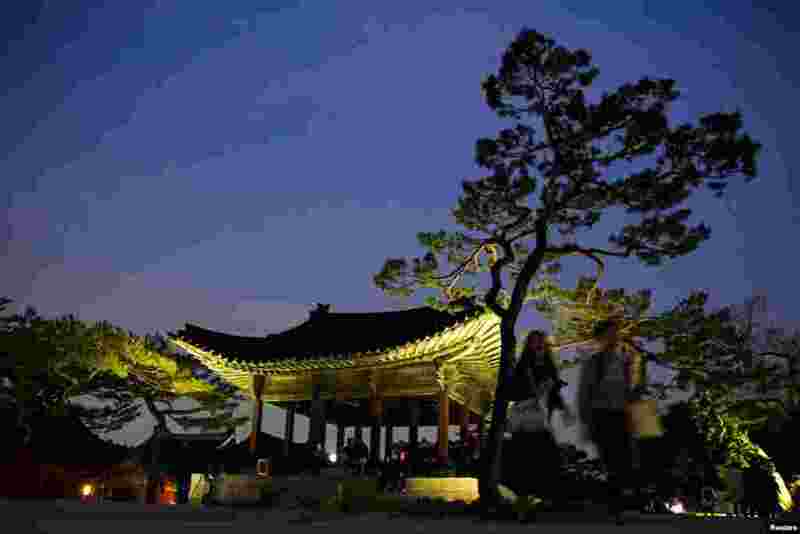 3 People walk through the garden of Changgyeonggung Palace in Seoul. 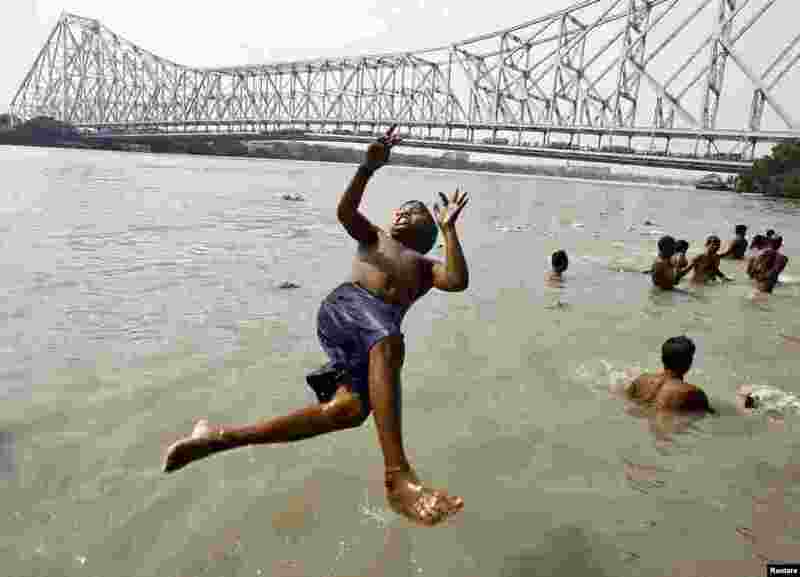 4 A boy jumps into the Ganges river to cool himself off on a hot summer day in Kolkata, India. Temperature in Kolkata is expected to reach 37 degrees Celsius (98.6 degrees Fahrenheit).